If you need very high output, then select our triple-cut saw RASACUT MXS. 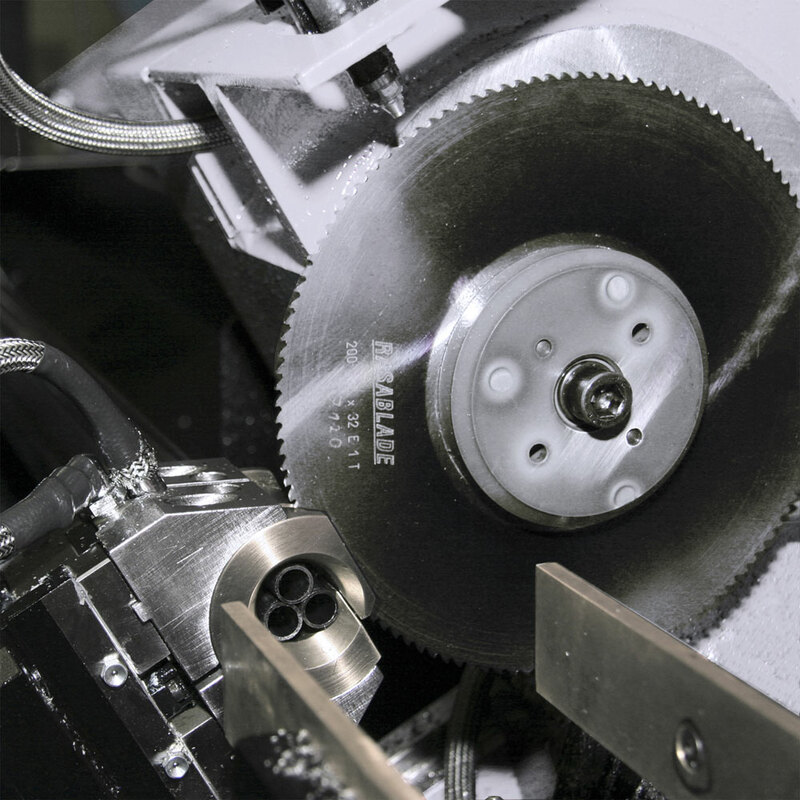 The sawing centre is designed for a tube diameter of 8 mm to 20 mm in triple and 6 mm to 45 mm in single-cut. These dimensions are often found in automobile construction–with special requirements on precision, surface quality and purity. Areas of application include fuel and brake lines or visible elements in the interior such as head rest supports. Both the infeed of workpieces as well as transfer to subsequent pocesses are done using NC-axes that operate with a speed of up to 5m/s. Safe handling of work pieces before, during and after the cutting process guarantees tight tolerances and gentle handling of surfaces so that subsequent chrome plating goes smoothly. Important for automotive suppliers: The work pieces are indvidually processed and measured after cutting. This guarantees real 100%-control, conforming with the guidelines and standards of the OEMs. Do you need a single cut saw for small diameters? Then learn about the RASACUT XS! Central tensioning on work peices makes it possible to use saw blades with small diameters and high RPMs, which increases precision and drastically reduces tool costs.